Dr Stuart Lavery is a leading London-based gynaecologist. Specialising in fertility and reproductive medicine, he practices at various prominent clinics in the capital including Hammersmith and Queen Charlotte's hospitals. He serves on international advisory boards for the pharmaceutical industry and has presented his research work at numerous international and national meetings. He is committed to education and training serving as Honorary Senior Lecturer at Imperial College and he has authored more than 30 publications. 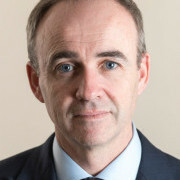 Dr Lavery is the official spokesman for the British Fertility Society and plays an active role in a myriad other professional bodies including the Royal College of Obstetricians and Gynaecologists.